Friars Oak Fields: Friars Oak Fields planning application 'call-in' hearing to be held summer 2017 - act now! 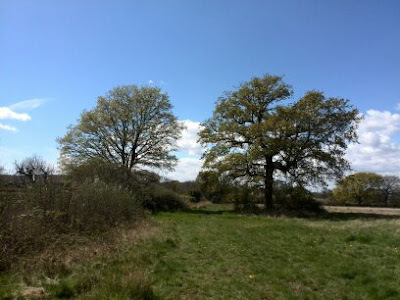 Friars Oak Fields planning application 'call-in' hearing to be held summer 2017 - act now! The latest stage in the fight to stop Rydon Homes destroying Friars Oak Fields (and, in the process, wrecking Hassocks Parish Council's Neighbourhood Plan) is that with the help of our MP, Nick Herbert, we alerted the government to the fact that there is a clear case for it to 'call in' the planning application, which was approved by Mid Sussex District Council last autumn. This means that Gavin Barwell MP, the minister for housing, has asked the national Planning Inspectorate to set up a public inquiry. An inspector will hold inquiry meetings over a few days, perhaps as early as this June, at the MSDC offices in Haywards Heath. The inspector will then make a recommendation to the minister (formally, his boss the Secretary of State for Communities and Local Government) who will decide whether or not to approve Rydon Homes' application. Local residents are also awaiting the result of a call-in on the nearby Ham Fields application, next to Stonepound. And the golf course housing estate application has been approved and looks like it will be built. We don't need to remind anyone of the dramatic effect on traffic, school places etc of having more than one additional large estate built on London Rd in Hassocks. There is no plan for another local school. the fact that to ignore the Neighbourhood Plan is against the intentions of the government's own Localism Act 2011. Copyright 2014, 2015: Friars Oak Fields Residents Association. Simple theme. Powered by Blogger.